Now that the snow has melted, it’s time to start enjoying your yard. After all, what’s the point of having one if you never use it? Getting outside makes you healthier, more active, and gives your family time to bond together and escape from screen time. Time in the sun can even make you happier and improve your patience and communication with each other. In honor of the spring season, here are 3 great spring projects for your yard that will get you playing and working outdoors all summer long. Have you ever grown giant sunflowers? They’re really a sight to see. Only taking a little over a month to grow to full maturity, and stretching up to possibly 10 feet in height, you can practically hear them growing some days. If you have kids, sunflowers are especially fun to grow. First of all, the rapid growth makes every day exciting, even if you have kids who lose interest quickly. Secondly, it’s fun to watch the sunflowers follow the sun. You can even notice them nodding during the day to get the most sunlight possible. Thirdly, you can harvest the sunflower seeds at the end of the season. Most giant sunflowers produce a huge amount. 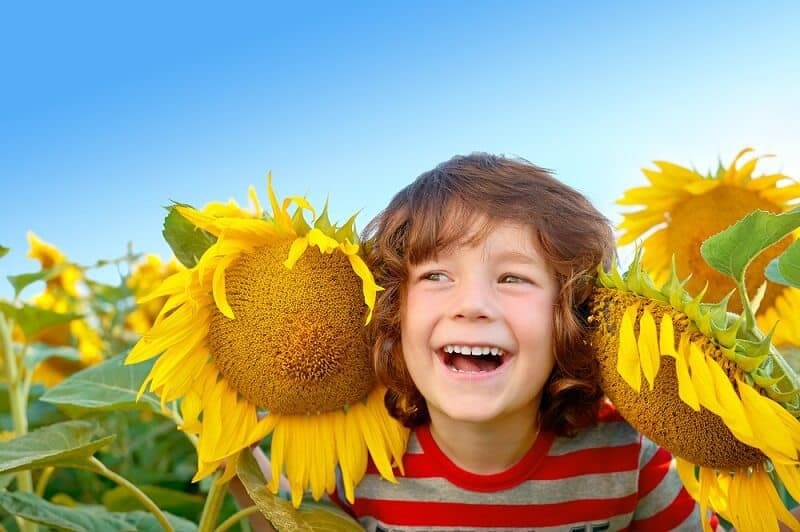 But most of all, building a sunflower fort is one of the coolest activities you can do to get your children outside. Choose an area with tons of sun. With sunflowers, the more, the better. Additionally, once the sunflowers grow in, it’ll be great to have some shade in an area that’s usually scorched. Shake some extra fertilizer and mulch into the soil before planting the sunflower seeds. To fuel their growth, they need a lot of nutrition. Consider adding some smaller sunflowers and other plants at the base in order to add some variety and levels. Grow morning glories or another creeping vine at the base of the sunflowers. When they climb the stalks, they’ll help make the sunflower stalks feel more like walls and add some cover. You can even build a trellis at the tops of the sunflowers to create a morning glory roof! Don’t you think it’s about time that the classic white picket fence got an update? Cleaning and maintaining your fence is important, but there’s so much more potential to tap! First off, there’s an entire rainbow of colors to choose from. Either select one that will set off your house really well, or go nuts and pick a color that will make a statement in and of itself. This post has some great tips for improving the look of your fence. If you have a fence with a lot of slats right next to each other, start looking at that fence as a potential canvas. What a perfect place to make a little work of art! Paint a garden that you’ll never have to water. Or perhaps you could try making a family portrait – tracing actual silhouettes of your children and animals. Paint the fence with blackboard paint. This will turn your surface into a great useable space where your children can draw something new every day. You can even use it as a learning tool and teach them how to write their names. Add some climbing vines to the base of your fence and see how some sweet peas or clematis can really give your yard a natural, pleasant homegrown look. Just be wary of the really tough vines like wisteria and roses. They’re pretty hardy and might damage your fence or just make it completely inaccessible for the future. When you hear the word “labyrinth” you probably picture tall hedges that you can’t see over. However, in ancient English lore, a maze or labyrinth is often just a pattern on the floor. It could be elaborate enough that trying to reach the center (even when you can see the whole maze laid out in front of you) is difficult. Other times, it’s not even hard to trace. But walking the path works as a kind of meditation or symbol to put you into a more spiritual mindset. You can bring a little bit of that magic home by building your own maze in your yard. Not only is it a fun project (to start with) and game (later on) but it can also be a really interesting decorative feature in your landscaping. Buy some pavers and lay them out in your selected pattern. If you’re not into pavers, you might also try rocks and stones, or even edging materials that will give you a distinction between your lawn and a mulch, gravel, or dirt pathway. Trace out the pattern ahead of time so that you have a plan. You might want to make your maze as simple as a spiral, or you could opt for a more geometric shape that doubles back on itself. Designate enough space for your maze that you’ll be able to actually trace the pattern with your feet. Most mazes are at least 6 feet in diameter. 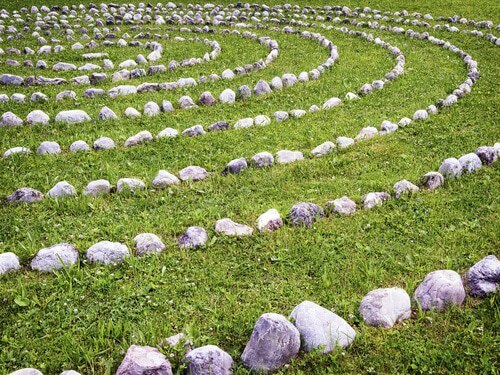 You can make your maze a temporary project by just creating a stone outline, or make a more permanent feature. It’s up to you! If you want to make it more elaborate, you can give the maze some extra ooph and mystery by planting strategically around it. Hedges of camilla or boxwood can give the area some privacy. 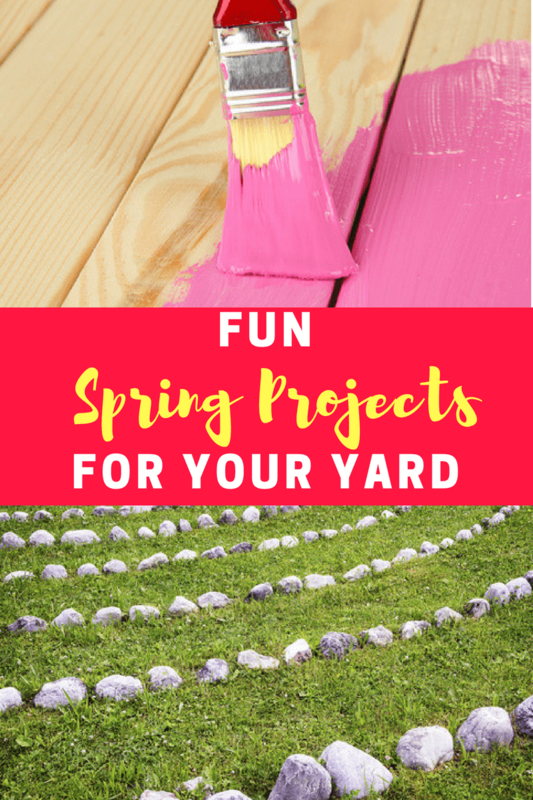 I hope that this post gave you some great ideas for spring projects for your yard. 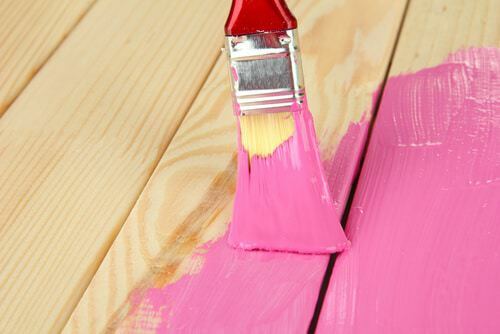 Leave us a message in the comments below and let us know how your back yard project came out! I have a fairly large yard and I think building a maze would be perfect for it. I do not have a large yard, but these are cute ideas and I wish I could do them all.